If you thought 5.66 seconds is fast in solving a Rubik’s cube, the CubeStormer II can solve the mysterious little cube in 5.35 seconds using LEGOs and an Android smartphone. 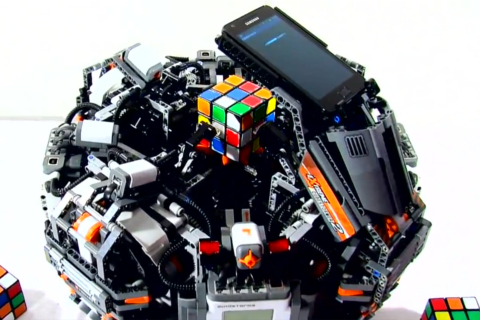 The CubeStormer II beats the human world record in solving a Rubik’s cube. If you would like more information on the CubeStormer II, the specs can be found on the YouTube post.